There is more trouble for the Trump administration as yet another member of his cabinet, this time his Attorney General Jeff Sessions, is caught up in the controversy that swirls around the new administration. This new controversy comes soon after General Michael Flynn resigned from the cabinet over allegations of contacting Russia, and the accusations currently being thrown at Sessions are arguably worse. Specifically, the controversy revolves around Sessions’ meeting with with the Russian ambassador, that occurred while he was campaigning for Trump. The controversy arises from the Logan Act, a 18th century law that prevents unauthorized U.S. citizens from contacting foreign governments on their government’s behalf. In addition, some have linked it to claims that Russia tried to influence the U.S. elections, with some going as far to say Sessions had a hand in this alleged rigging. Sessions’ defense against these claims is that these meetings were simply part of his duties as a member of the Senate Foreign Relations Committee. Nancy Pelosi, Minority Leader in the House, and former member of the House Foreign Affairs Committee, claims that Session didn’t have a reason to meet with the Russian ambassador, as neither did she when she served on the equivalent committee in the House. Her claims are somewhat deflated by the fact that she did indeed meet with the Russian ambassador during her tenure as Speaker of the House. 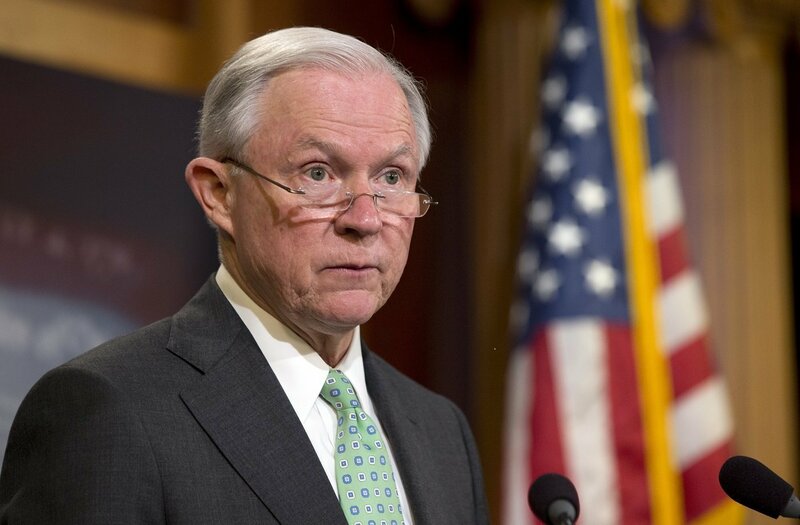 The controversy deepened however, after Sessions was accused of lying under oath about his Russian contacts (during his Senate confirmation hearing for Attorney General, he had stated that he had never had contact with Russia). Despite contesting that he hadn’t lied, due to the way the question was worded, Sessions eventually recused himself from all investigations regarding the relations between Russia and the Trump administration, agreeing that an unbiased observer was needed. Combined with Michael Flynn’s resignation, this only furthered the widespread distrust in the Trump administration. While it’s difficult to say how the administration’s popularity was effected, Trump’s favorability rating didn’t drop significantly. Some suggest this is because only extremely dedicated Trump supporters are still supporting him. Others claim that this is because it really didn’t have an effect – it simply didn’t resonate enough. Either way, scandals particularly about Russian contact, will probably plague the Trump administration for the foreseeable future.